Klomps are the main Kremling grunts employed by Kaptain K. Rool and his Kremling Krew during the events of Donkey Kong Country 2: Diddy's Kong Quest and Donkey Kong Land 2. These soldiers are spread throughout Crocodile Isle, the home island of the Kremling race and are part of the "Kremling Kuthroats" enemy class. Diddy Kong and Dixie Kong defeat many Klomps during their attempt to save the kidnapped Donkey Kong from Kaptain K. Rool. 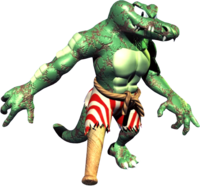 Like many other members of the Kremling Krew during this time, Klomps donned pirate regalia (specifically sailor pants and a peg leg) like their leader Kaptain K. Rool (the pirate alias of King K. Rool). Klomps are very weak, as they can be defeated by any attack, including simple jumping, cartwheel and spin attacks. These pirate soldiers can only attack by marching into a Kong, hurting the ape on impact. Klomps tend to patrol a small area individually or in small groups, although in either case they are not much of a threat to Diddy and Dixie. They act the same in both Donkey Kong Country 2: Diddy's Kong Quest and Donkey kong Land 2. Klomps have the same role as Kritters from Donkey Kong Country and Donkey Kong Land. 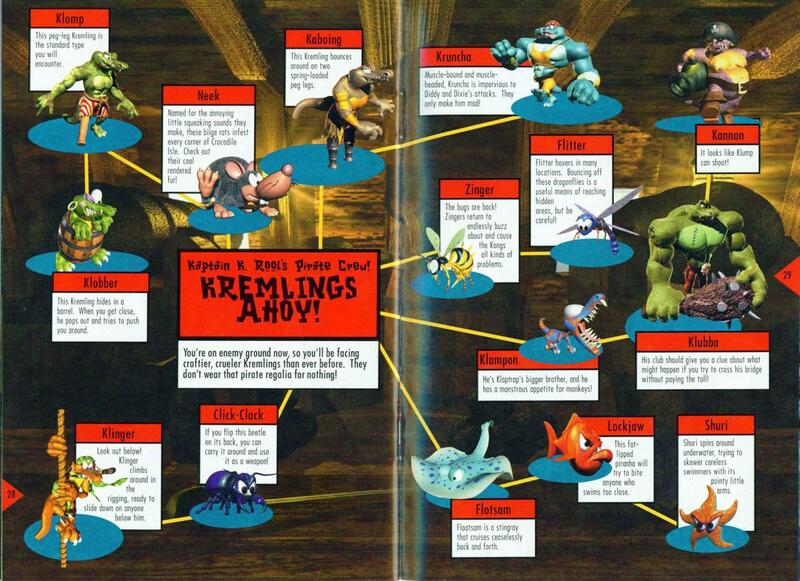 In fact, Klomps look almost exactly like Kritters, the notable difference being the former's pirate appearance. Additionally, Klomps appear to be heavily scarred. Other differences, for example, they only have green skin, while Kritters come in many different colors. Also, Klomps cannot jump like some Kritters can. Kaboings instead possess this ability (although Kaboings themselves appear to simply be Klomps with two peg legs, instead of just one). Klomps are in turn replaced by Kobbles in Donkey Kong Country 3: Dixie Kong's Double Trouble! and Donkey Kong Land III. Klomps also appear in Donkey Konga 2. This page was last edited on March 16, 2019, at 21:46.